Noe Valley word week presents Four authors reading from Jane Austen! I'll be reading too! If you happen to be in the San Francisco area on Thursday, February 23, between 7-8pm, please come by the Umpqua Bank on 24th Street in San Francisco. I just finished the editing of my fifth Butternut Lake novel, The Light in Summer. It will be due out on June 13, 2017! And my first Butternut Lake novel, Up at Butternut Lake is being brought out in a Mass market edition on May 31, 2017! This is great news! I have a couple upcoming radio interview that I'd love you to tune into! If you have trouble finding the stations I will post the link to the interview once they are complete! July 26, at 8:45am Pacific time I will be interviewed by Lifestyle, BizTalkRadio. One the interview is done I'll post a link to it. July 27, at 7:00am Pacific time, 10:00am Eastern Time, I will be interviewed by Greg Berg for the NPR affiliate, WGTD-FM, Milwaukee. August 14, 4:30 pm Pacific time, Donna Agro of KPRP-AM, Honolulu, will interview me. Please visit my Facebook page (MaryMcNearAuthor). I'm having a beach bag giveaway (New J.Crew beach bag, beach towel, suntan lotion and two copies of The Space Between Sisters. Here's the link! The giveaway is until July 5! 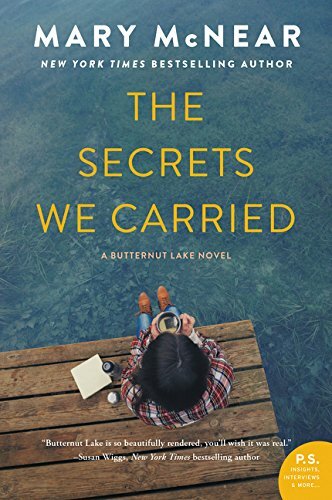 The fourth Butternut Lake novel, The Space Between Sisters, is due out on June 14, 2016! Just in time for the beach. More news later once I get a firm schedule!